Attorney John Adams was struck by the tall, slender Abigail when he first he saw her while visiting her parents’ home. Touched by her intelligence, vast knowledge and great sense of humor, he later asked for her hand in marriage. It was her father, a Congregationalist minister, who performed their marriage ceremony. John Adams was 10 years her senior. Their marriage was warm and loving and Abigail was his most trusted lifetime advisor. Abigail Adams (1744-1818) was the wife of the United States’ first Vice President and second President John Adams and the mother of the 6th President, John Quincy Adams (although he was not elected President until several years after her death). President Adams groomed John Quincy Adsams for political office by having him accompany him on many diplomatic excursions. She was strongly committed to supporting her husband's political career. Despite her frequent bouts of illness, she was known as a personable and pleasant woman who was resourceful, competent, and self-sufficient. They conceived 6 children, 3 boys and 3 girls. Unfortunately one of the girls died before birth and another daughter died from an illness early on. An advocate for many causes, Abigail Adams called for the emancipation of slaves and women’s rights. She argued for a woman’s right to own property and have access to a public education equal to that of men. Mrs. Adams had not attended school herself; she learned to read and write at home. The extensive libraries of her father and grandmother allowed her to explore many subjects. She took an interest in many subjects including theology, ancient history, and law. During the revolutionary years, her life was far from glamourous. She struggled with food shortages, insufficient income, and sparse living conditions. A competent manager, she did what was necessary to manage their farm and educate their children. More than 1,000 letters between the President and First Lady have been discovered, many of which have been published. Because they were often geographically separated for months and or years, written correspondence was their primary form of communication. 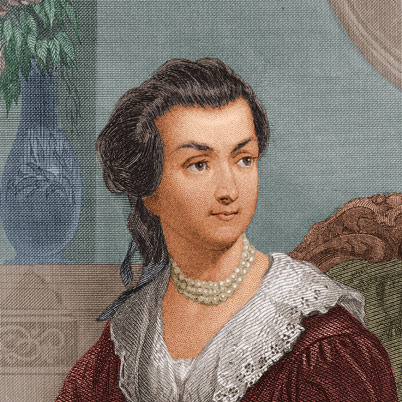 First Lady Abigail Adams was well known for expressing her opinions to her husband and other important figures. This habit made her the target of public attack and she responded with passion. Mrs. Adams sometimes traveled with her husband when he went abroad. In Paris, she became fascinated with French culture and later enjoyed living in Great Britain. 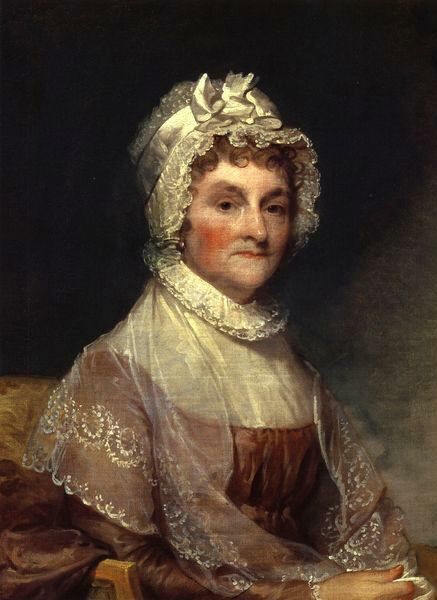 By the time Thomas Jefferson defeated John Adams in his quest for re-election, Abigail Adams had become tired of public life. She gladly settled into a simple life in Quincy for the rest of her days. Aside from writing, Abigail Adams also displayed great talent in embroidery. The Raleigh DeGeer Amyx Collection is proud to proclaim the possession of historically significant personal items that were not only owned by, but also crafted by the First Lady herself. In the photo above, to the rgith, there is a samll photograph of Gilbert Stuart’s painting of Abigail Adams, currently on display in the US National Gallery. 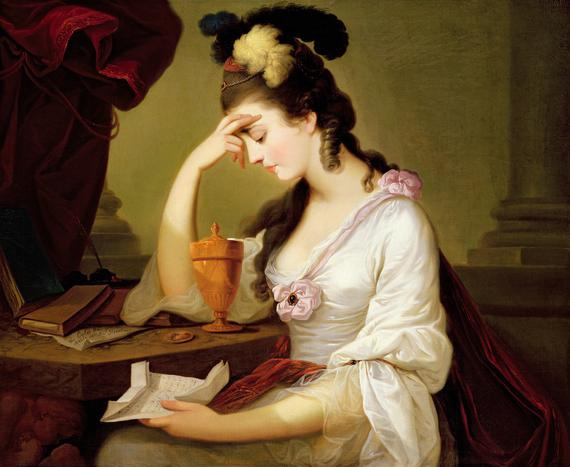 Notice that the dress Abigail Adams was wearing while posing for the painting. An actual remnant of the fabric in the bodice of the dress sits to the left of the photo with remnants of the lace shawl to the right. 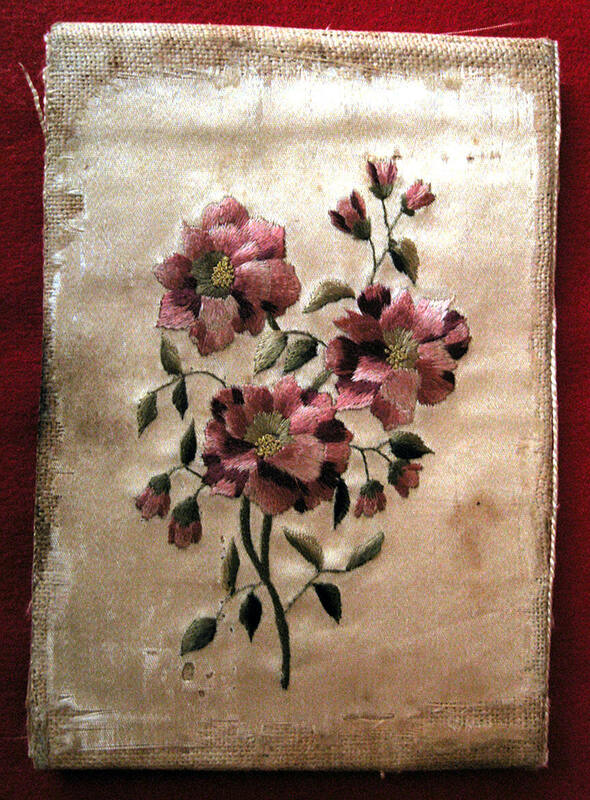 The silk sewing case at the top was elegantly embroidered by the First Lady. The entire collection is properly authenticated by the pictured card, as well as a note, penned by Mrs. Adams’ granddaughter, Elizabeth Coombs Adams. All pieces, above and below, are currently in The Raleigh DeGeer Amyx Collection. 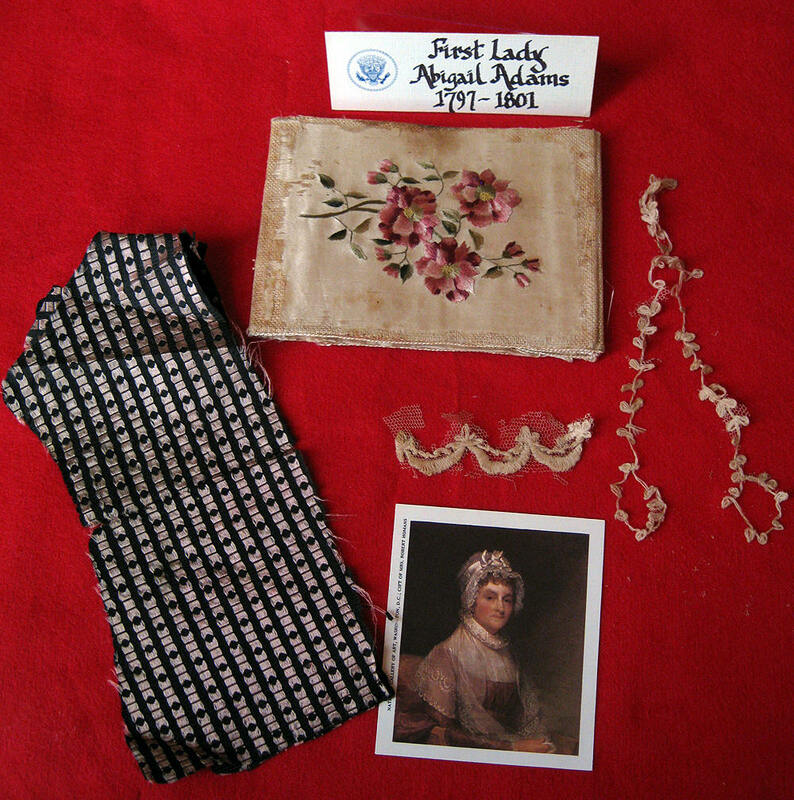 Abagail Adams's needle case. hand-made by her, is comprised of off-white silk with underlying reinforcement for added strength. It measures 3.5" x 10" and the inside pocket covers are decorated with a dove carrying an olive branch on the left and a rose-colored flowering vine on the right. This stunning 18th Century piece was also made by Mrs. Adams. 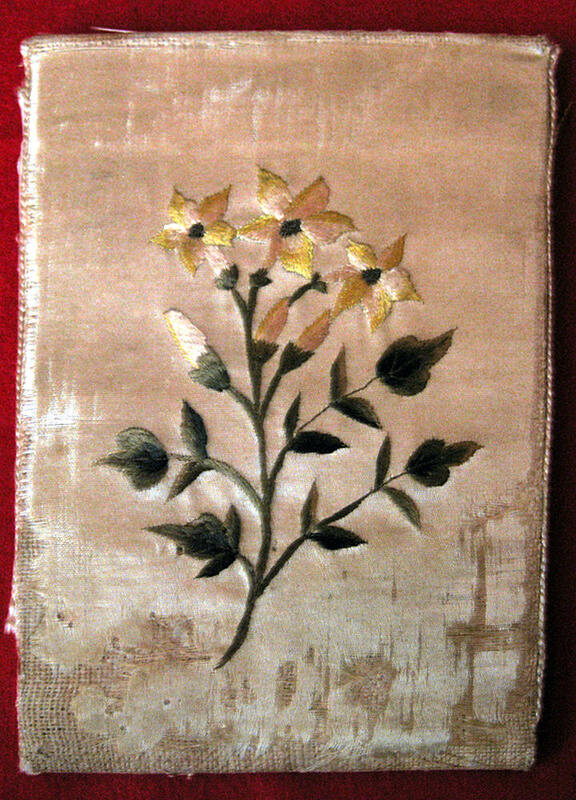 Perhaps the most remarkable features of this silk needle case are the carefully embroidered flowers on the outside layers. Each cluster of flowers is balanced with buds as well as blooms. And, by using three or more shades of the primary color, the illusion of shading is achieved. Just imagine First Lady Abigail Adams, in the earliest years of the United States, carefully crafting her needle case as she waited patiently for her husband to return from his lengthy world travels. This and many other museum quality artifacts make up the Raleigh DeGeer Amyx Collection. 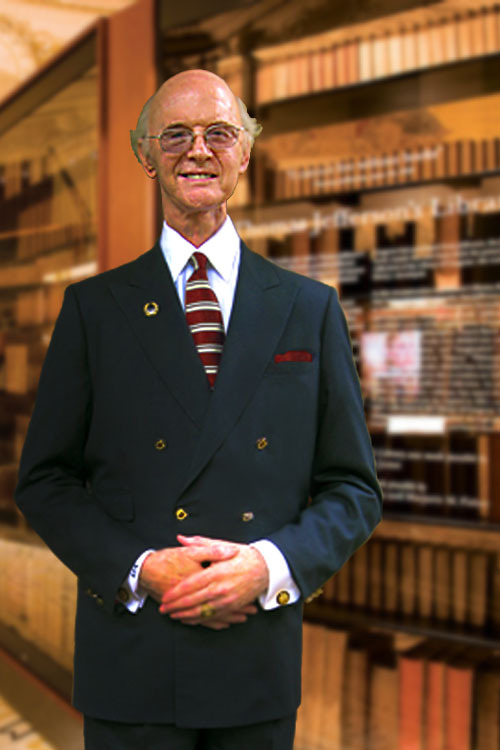 Mr. Amyx has been an avid historian and collector for much of his life. 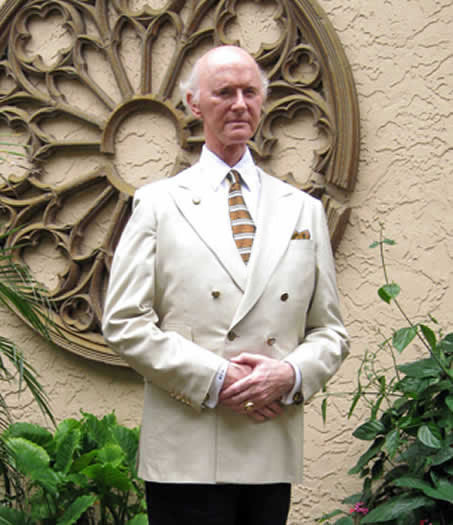 His extensive collection is known throughout the world. The knowledge he has acquired has been called upon by the highest industry and government officials. If you would like to discuss historically significant artifacts with Mr. Amyx make an effort to reach out to him.